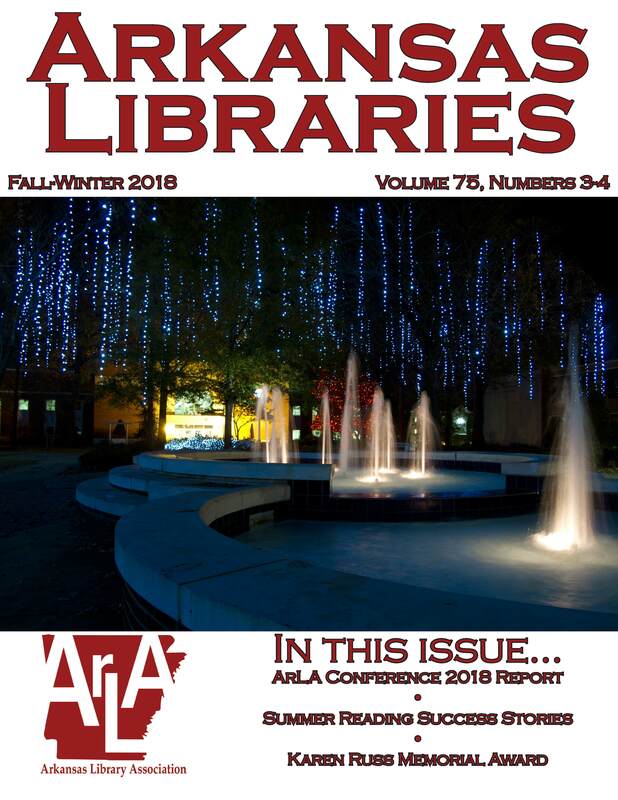 Arkansas Libraries is the official journal of the Arkansas Library Association. It contains articles of current interest, historical significance or literary value, concerning all aspects of librarianship, especially items pertinent to Arkansas. It also includes official statements of and information provided by the Arkansas Library Association. Deadlines for Issues: Spring, January 15, Summer, April 15, Fall, July 15, Winter, October 15.